I was 13 years old when I spotted the Japanese rifle that had been quietly tucked away in the back corner of Uncle William’s closet. My aunt Mamie had instructed me to place my knapsack into the closet after I had been invited to spend the weekend with the two of them. Spotting the rifle came as quite a surprise to me. The both of them had completely forgotten that the rifle was stored in the closet and when I inquired about it, my uncle went on to tell me of the rifle being a souvenir from his tour of duty in Japan, at the close of the Second World War, following Japan’s surrender on VJ Day. Holding the rifle in my hands, looking through Uncle William’s photograph album and listening to the stories he told me of his military exploits made me very proud of him, and I wanted to follow in his footsteps by serving my country as well. On September 16, 1965, I graduated with honors from basic training at the Marine Corps Recruit Depot on Parris Island, South Carolina. I received a Meritorious Promotion to the rank of Private First Class and the Leatherneck magazines DRESS BLUE AWARD, for being selected by my Drill Instructors as The Outstanding Marine of Platoon #151. After completing my Advance Infantry Training at Camp Geiger, North Carolina, I remained there to attend Machine Gunners School, prior to being assigned to the Weapons Platoon of A Company, 1st Battalion, 6th Marine Regiment, located at Camp Lejeune, North Carolina. 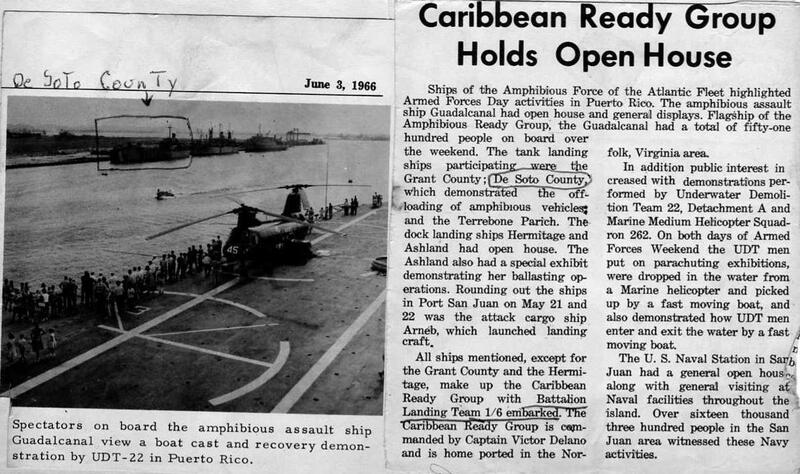 In July 1966, upon the completion of a 4-month Caribbean tour by BLT 1/6 as a Lance Corporal E-3, I received my orders to Vietnam, where I was assigned with the Weapons Platoon of C Company, 1st Battalion, 1st Marine Regiment, near the city of Hoi An. 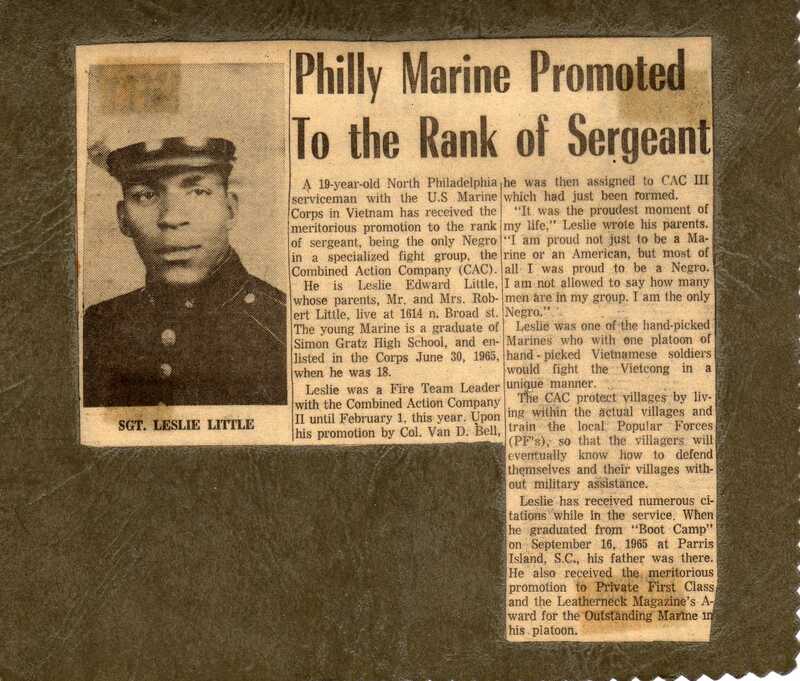 I was promoted to Corporal E-4 on October 1, 1966. 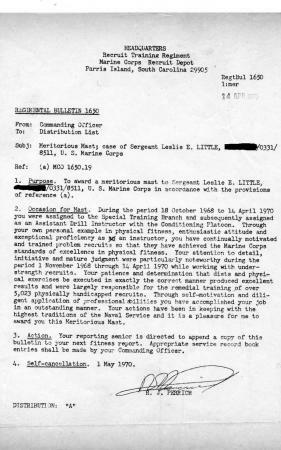 Due to the shortage of commissioned officers, I was given the NCO assignment as C Company’s Weapons Platoon Commander, where I remained until early December of 1966, when I was asked to join the Combined Action Program to serve as a Squad Leader of CAP Delta-5, located at Tan Than. On February 1, 1967, I was again meritoriously promoted to the Non-Commissioned Officers rank of Sergeant E-5 and given assignment as Commanding Officer of the newly formed Combined Action Company 2-3, located at Dien Dan, RVN. 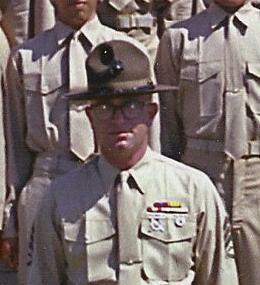 After successfully completing my tour of duty in The Republic of Vietnam, I served two years (1968-1970) as a Drill Instructor on Parris Island, receiving a Meritorious Mast for assisting 5,023 recruits to return to their regular training, while I was attached to the Special Training Branch (STB) of Head Quarters Battalion. The next four years (1970-1974) I spent as a Marine Corps Recruiter, in the city of Charlotte, North Carolina and from there I would graduate first in my class from the Marine Corps Human Relations School at MCRD, San Diego, where I would go on to be the Human Relations Instructor for the 4th Marine Division on Okinawa, until receiving my Honorable Discharge, on the morning of my 27th birthday in 1974. Combined Action Platoons Ops (1966-67). I got a radio call from a chopper pilot, instructing me to clear an LZ inside my CAP Units compound. As I was trying to tell him that my compound was too small to land a Huey inside, the bird came whirling over the tree tops. It hovered a few seconds and the pilot set it down with precision, without touching a thing. Out pops General Cushman, grinning from ear to ear and right behind him was the Assistant Secretary of the Navy, who was in Vietnam on a fact-finding mission. 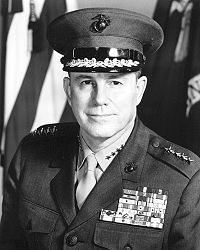 Upon his return home from Nam, General Cushman would become the 25th Commandant of the United States Marine Corps. No medals, but I was meritoriously promoted twice and received one Meritorious Mast. My Meritorious Mast for helping 5,023 recruits complete their special training syllabus and return to regular Recruit Training, while I was assigned as a Drill Instructor, with the Special Training Branch (STB), at the Marine Corps Recruit Depot, on Parris Island, South Carolina between 1 November 1968 and 14 April 1970. The job of the STB Drill Instructor was a lonely one away from the beaten path and it was a revolving door of recruits coming and going. No graduation ceremonies, no pomp and circumstance, no handshakes from smiling, no proud parents on graduation day. The only reward was the smile on a kid’s face the day you informed him he had successfully completed his special training and he was being returned regular training. It is beyond a doubt, my Senior Drill Instructor during Basic Training, then SSGT David Adelman, now a Retired Sergeant Major and fellow TWS member. His experience as a Veteran of the Korean War played a huge role in shaping our young recruit lives. I was fortunate to serve with him twice. In addition to the guidance he provided me as the Platoon Guide during basic, we had both served in Vietnam during the same time frame, and when I became a Drill Instructor, he had returned to the Drill Field as well and served as an outstanding mentor. Being sent to the supply hut at Camp Lejeune when I was a rookie with the Weapons Platoon of A-1-6 for a can of “Back Blast,” a gallon of “Universal Solvent” and a “B.F.A.” for a rocket Launcher. LMAO, they got me good. In 1986, I began as a temporary Water Meter Reader for the City of Philadelphia. 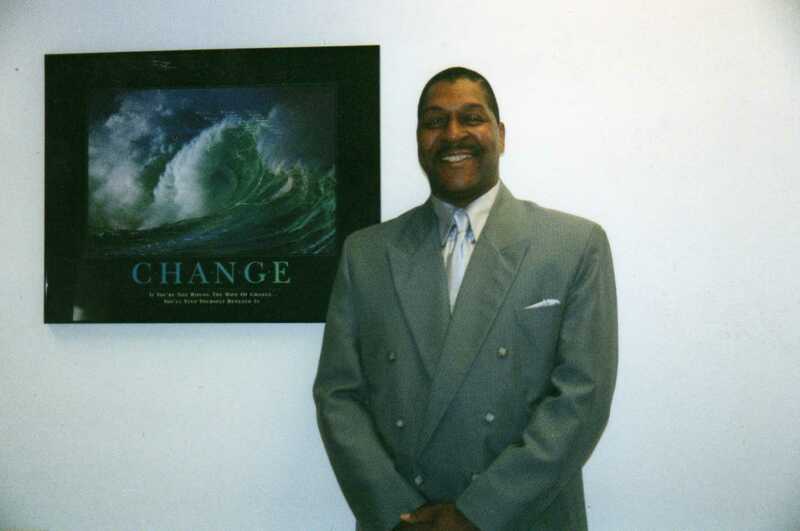 In 2004, I retired as the Assistant Manager of the Technical Operations Division of the Water Revenue Bureau for the City of Philadelphia. Since my retirement, I have enjoyed relaxing and traveling extensively. DAV – I appreciate their free legal advice. It taught me that no matter how difficult or hard things get, things could always get worse. A WINNER NEVER QUITS AND A QUITTER NEVER WINS. Stay focused on accomplishing your Mission through SELF DISCIPLINE. Do not allow yourself to become distracted. Photo taken April 25, 2010, qt the East Coast Drill Instructors Reunion, Platoon 3028. Within three weeks from the day I joined Together We Served, I had made contact with my Senior Drill Instructor, three recruits I put through basic training and four buddies from Vietnam. I have also met many TWS Brothers at various get-togethers. Best damn website on the Internet! Photo taken October 28, 2010, at the TWS Pacific Storm Get Together in San Diego, California. Editor’s Note: On Feb 4, 2012 we lost our dear friend “Lifer”. He truly was larger than life and a huge part of MTWS. His life and his memories will live on in his many Marine brothers & sisters as well as here on the pages of MTWS. Thankfully, he put his memories down in his Reflections so he will have a lasting legacy to pass onto his family. We miss you Lifer! Semper Fi.